For those seeking competitively priced apartments in Central Tucson, Arizona, your search is over. Latitude 32 offers fully renovated studio, one, and two bedroom apartments for rent near Brandi Fenton Memorial Park. Surround yourself with the beauty of hardwood-style flooring and the comfort of air conditioning. Love your fully equipped kitchen with appliances and brand new countertops. Let the timesaving dishwasher do the hard work while you kick back, relax, and take a sip of your favorite drink on your private balcony or patio. Here, you’ll have all you need to live the life you want to. Beyond the front door, you are invited to cool off at the swimming pool, or throw the ball around for your pup at the pet park. Enjoy a beautiful day outside in our picnic area or soak in the hot tub while waiting for your clothes in the laundry facility. Endless opportunities to make the most of your days are waiting for you, your family, and your pet at our apartment community. 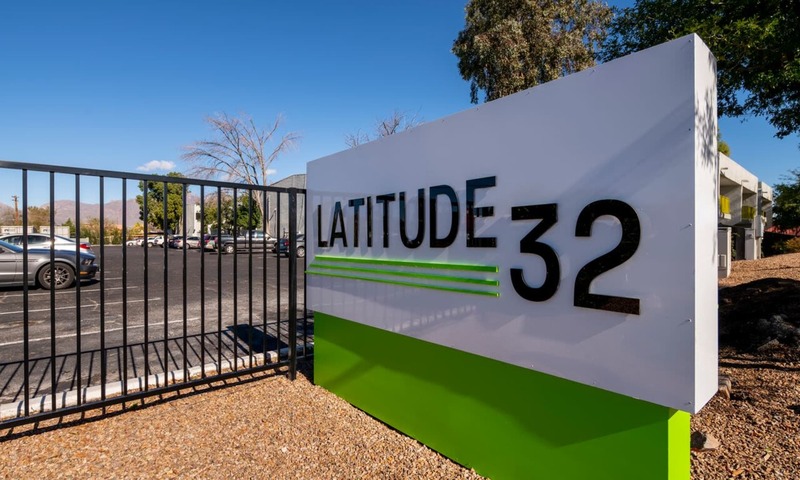 With verdant landscaping and a variety of community spaces great for socializing, Latitude 32 is the ideal home base for those that appreciate an indoor-outdoor lifestyle. Learn more with a personal tour.